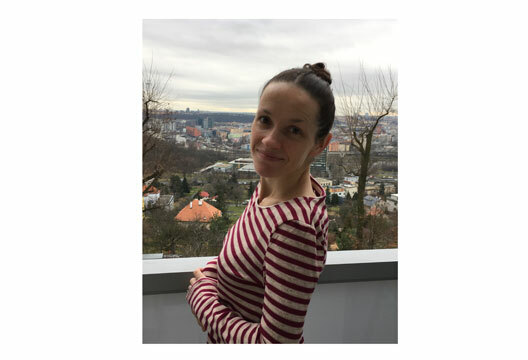 Hilary Cahalane has set up her own private clinical practice in Prague. A few questions from Ian Florance confirmed just how interesting Hilary Cahalane's journey has been. Tell me about your move to the Czech Republic. I moved two years after qualifying. My husband is from here and had moved back 18 months previously, so it got to a stage where I had to decide. I’d just started a Band 8 role and I knew it would offer many challenges and opportunities. Prague seemed like a scary leap into the unknown… it didn’t help that when I told the mother of a Czech friend my plans, she shook her head and said: ‘We don’t use psychologists here – we have our friends and we have the pub!’ Which, in some ways, reflects the Czech view – psychology is still quite stigmatised and associated with institutions and serious mental illness, although this is slowly changing. It was much easier to establish myself than I had thought – this was partly because I went into planning overdrive to try and ease my anxiety in the months before moving! For example, I emailed every English-speaking psychologist working here that I could find, which led to two contacts who opened the door to many opportunities, and both are still close colleagues. There was some bureaucracy involved in getting started. I had to get all my manuscripts and transcripts translated and submit them for review to the Ministry of Health to get a sort of trade licence to allow me to work. The other challenge was the realisation that I had to market myself and set a price for my services. After years working in the NHS, this was an alien concept. However, once all the preparation was done, things took off quite quickly. I have no doubt that this was at least partly due to my training and experience in the NHS. That provided me with the knowledge and skills needed to set up my own practice. What advice would you give to a psychologist thinking of moving to a new country? Be as organised as you can and do as much research as you can before you move. If possible, try to make contact with people already working there to get an idea of the client population and local issues. Send your CV to clinics or practices that might be interested in your services. Find out what you need to do to practice there and make sure you have all the documents you’ll need. If possible, visit the place you’re planning to move to beforehand, and maybe even try to arrange a meeting or two. But I think the main thing is to have confidence and not be afraid to take a risk. You’ll only ever know what it will be like when you get there, so you will have to be able to tolerate a certain amount of uncertainty! Let’s go back in time. Tell me a little bit about where you grew up and your family life. I grew up in Dublin with my parents and my older brother. I have happy memories from childhood, but in my teenage years I felt like the black sheep of the family. Everybody except me seemed calm and rational! My brother created much (unintended) torment for me, as he was a high achiever and model student who excelled in everything and did not feel the need to go through any rebellious phase. I struggled to find my place, and rebelled in every way I could think of, making life as difficult as I could for myself and my poor parents. Looking back, I believe those years helped to make me a better and more empathic clinician, so it was not all in vain. I’ve been interested in it as long as I can remember. I considered social work and social science, but they never had the same attraction I got exactly the right amount of points on my Leaving Certificate (the Irish equivalent of A-levels) to get a place at Trinity. When I started studying, I found most subjects interesting, but the amount of statistics involved proved an unpleasant surprise. I had a mini-crisis towards the end of my first year, but I stuck with it, and my level of effort and motivation increased as the course progressed. I knew from the beginning that I wanted to specialise in forensic psychology. I had to wait until my fourth year to be able to do a module, but it confirmed my desire to pursue it. In Ireland, at that time, there wasn’t really any clear career forensic psychology pathway. You seemed to have moved about quite a bit during your studies. I was planning to go on a year’s Australian working holiday after my degree. However, my father’s employer would fund a postgraduate degree at a university of my choosing, if I did it immediately, without exceeding the age cut-off. I combined the two and enrolled in a master’s degree in criminology at the University of Sydney, which started three weeks after my degree ended! The course was more legal than psychological, but that year was amazing. When I returned to Dublin, I got a research assistant position in a community treatment service for men who had sexually abused children, and this helped to give me a flavour of work in this area. There were some amazing clinicians there, one of whom suggested I pursue the clinical route. I subsequently got an assistant post in a learning disabilities service to get broader experience. I applied for clinical courses in Ireland, then in the UK and in the end, I got offered a place at Liverpool. The interview suggested it would be a good fit, and it also had strong forensic links. My boyfriend at the time (now my husband) moved with me, and that made the decision and the move easier. The course was amazing, and I felt like a sponge for the three years. Liverpool itself is an easy place to live and was a good fit for me for several reasons – cultural similarities, proximity to home, football, and the people. What has been different about Prague? Before moving to Prague, all my qualified experience was in a high-secure environment. I did my final-year placement in Ashworth Hospital and then got a Band 7 position there. I worked as a ward psychologist, which involved lots of systemic work (with multidisciplinary teams, reflective practice with staff), doing admissions assessments, and providing input into the therapy service. This involved individual and group work and using a range of modalities. I worked with my supervisor, mentor, friend and all round inspirational psychologist Tanya Petersen on redeveloping the sexual violence treatment programme. Working in private practice in Prague is hugely different. The expat community here is quite small, so there’s a lack of physical boundaries between you and clients – I’ve bumped into clients in the changing room of my gym, in bars and in the supermarket! Because I was so passionate about forensic work, I was initially worried that I wouldn’t find the work here as stimulating or challenging. It is true that most cases aren’t as complex, which I think has led to some loss of knowledge and skills, but I was happy to realise, or be reminded, that people are inherently fascinating and complex, whatever their background. It’s rewarding seeing clients making significant changes and seeing improvements in their lives quite quickly. I do miss the variety of working in a service, and it would be draining just doing therapy all day, every day. For this reason, I’ve tried to broaden my role here and, over time, it has evolved into three main strands: therapy; cognitive assessments for students in some of the international schools; and lecturing psychology subjects at an American university. I miss belonging to a team. While I’m a member of two different teams, both involve clinicians working independently and convening every few weeks for supervision or case discussion, so it can still feel quite isolated sometimes. You also have to be more proactive about seeking out CPD opportunities. Which client groups and issues particularly engaged you and taught you a lot? I’ve always had an interest in personality disorder, and my time in secure services was a great opportunity to gain exposure and experience in the area. Although manifesting in a different and less severe way than in secure services, I’ve worked with quite a few narcissistic and borderline presentations in private practice, which I enjoy. I was, and still am, very interested in sexual offending, but unfortunately opportunities for this kind of work here are scarce in my position. I’ve had some means of staying connected to my interest and knowledge through teaching. What advice would you give, based on your experience, to someone who was thinking of training as a clinical psychologist? It can be a long and frustrating road, but it will help if you are flexible about where you’re willing to train. Try to gain clinical and research experience in all areas, even those in which you might have no interest. There is a lot of ongoing discussion among people trying to get onto clinical courses in Ireland about the ethics of voluntary posts, as paid assistant posts are relatively scarce there. This does disadvantage many people who aren’t in a financial position to work for nothing, but it can be one way to get experience. When I finished my research assistant contract, there was no money for an assistant post, so I asked if I could work in a volunteer capacity. I ended up working part-time there and part-time in a bank until I got a paid assistant positions. I got a huge amount from both experiences. It was worth the journey. But there are many other possible ways to gain similar skills or work as an applied psychologist. Prague is a beautiful city. What’s it like to live there? What do you do when you’re not working? It is a beautiful city. I suppose that, like anywhere you live, you don’t always appreciate your surroundings, but I try to enjoy it. The language is difficult to learn but I’ve tried to stick with the task. It was also difficult to meet people and make friends initially, but I have some great colleagues and friends now. The quality of life we have here is huge in terms of financial stability, job flexibility and work–life balance. When I’m not working I’m usually with my daughter, although I usually sneak out for a run or swim before she wakes up. Regular exercise was something I started during training despite never having been really physically active before. I can’t imagine being without it now. The Czech Republic is a great country for being out-doorsy.